Today’s Limited Supplies challenge has us using all white w/ only one color of ink! The way I love color, this was really tough for me. My first instinct was to go w/ gold, silver or red for the one ink color. Then I thought, I’ll go w/ a royal purple just for a change. 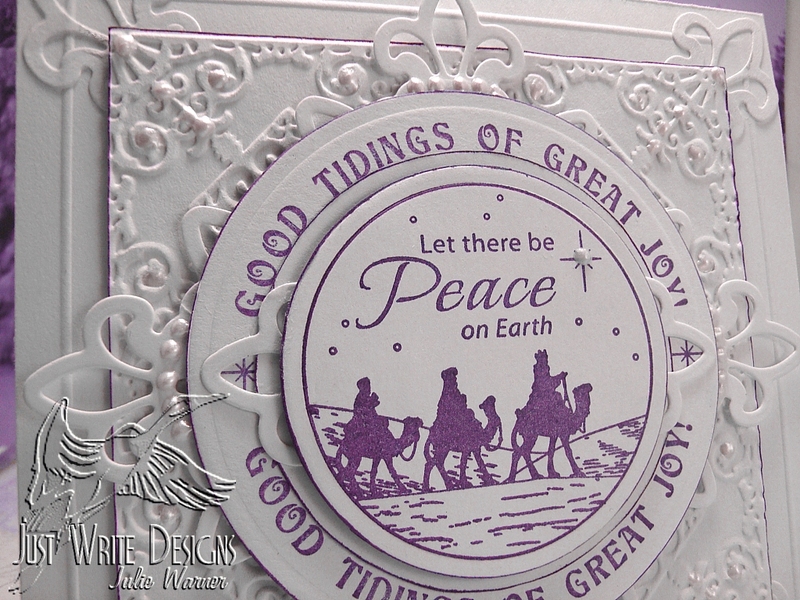 The JustRite image was stamped twice w/ the violet ink and I used a Spellbinders circle nesties set to cut three circles. I did run the ink pad around the edges, but I don’t think that counts as coloring. Hope not, anyway. I cut a pendant and four extra fleur de lis out for the corners. The bg was embossed using a CB ornamental iron folder. 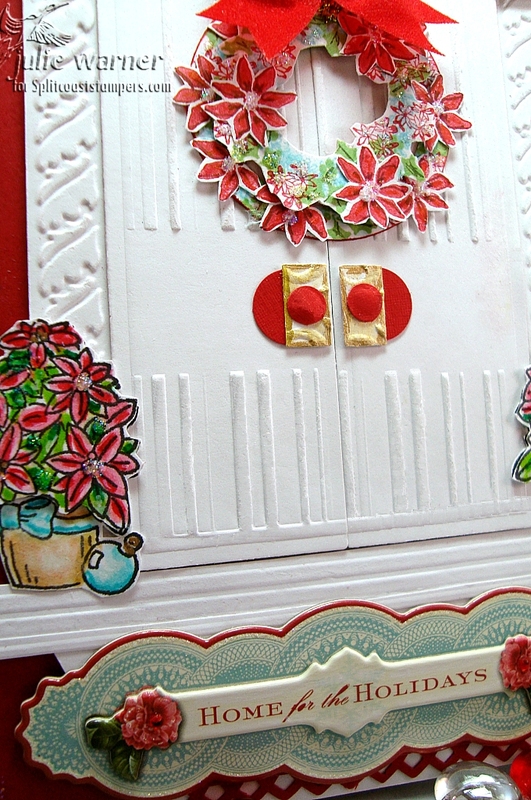 I used my Scor-It to add an embossed border. Liquid Pearls were added on top in various areas. Finished card measures 5 x 5. Thanks so much for stopping by! I wish you Peace for this Holiday season and into the New Year!